I am so excited to share with you my first Quick Quotes blog post!! 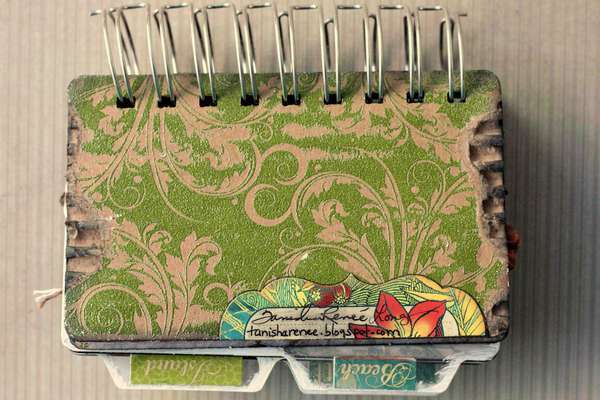 The Tin Type collection has my handsome little men written all over it. I love the muted colors with the surprise pop of orange. I wanted to play up the contrast so I matted the Tin Type 100 side A with a 2nd sheet of side B and added a strip from Tin Type 500 across the layout. 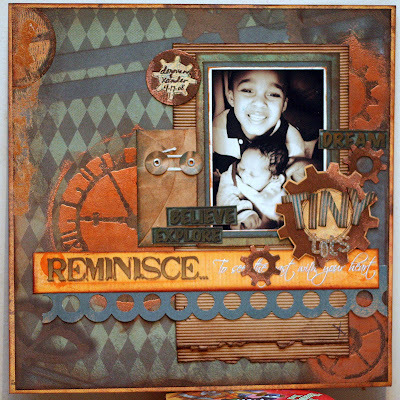 To help carry out the "steam punk" theme, I used cog wheels masks and embossing powder on my background. I inked the gears from the Balloon - 8" x 10" Chipboard with Mocha Mama PowderPuff Chalking Inks and lightly embossed with copper embossing powder. I cut word strips from Tin Type 500 and used as journaling on my layout. 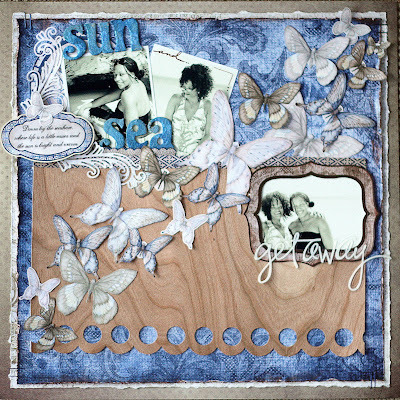 I also inked throughout the layout with Mocha Mama PowderPuff Chalking Inks and Baja Blue PowderPuff Chalking Inks. That's all for now! See you next post! Hey there, it's been a while since my last post. I have a good reason for my absence...I started a new job about 3 weeks ago and am still trying to find a way to fit it all in...scrapbooking, gym time, family time, computer time...and sleep. LOL! 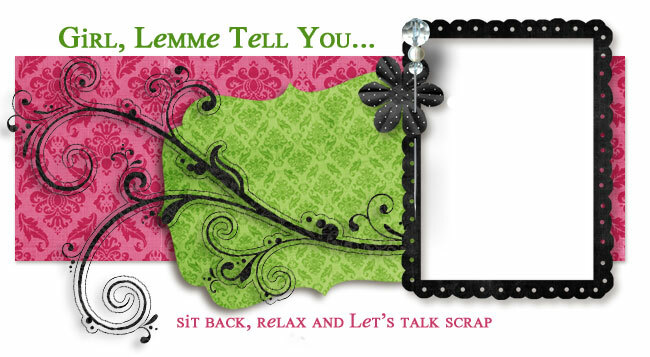 Although I haven't scrapped in a long time...too long as a matter of fact, I still have some projects to share. I created these mini albums for the Basically Bare booth at CHA. 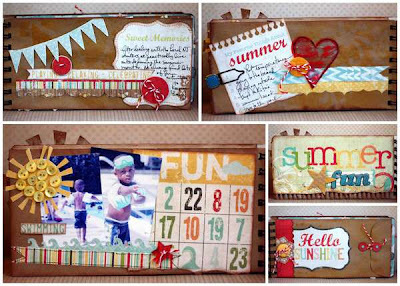 I used Basically Bare chipboard and acrylic accents, Simple Stories patterned paper, and WOW embossing powder and stamps to highlight the photos of our summertime activities. 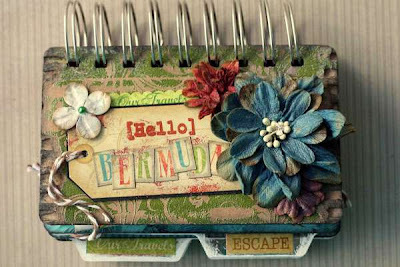 I used Basically Bare chipboard accents, Graphic 45 patterned paper, Petaloo flowers, and WOW embossing powder and stamps to highlight the photos of my trip to Bermuda. Hey there everyone!! Today I have a ton of new projects to share featuring Creative Imaginations' new CHA-W 2012 releases. 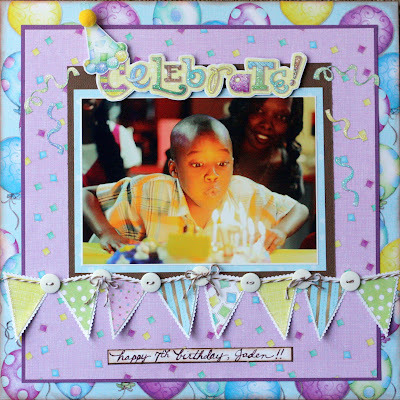 This layout featuring my nephew, Jaden was created using Renae Lindgren's Make A Wish Line. 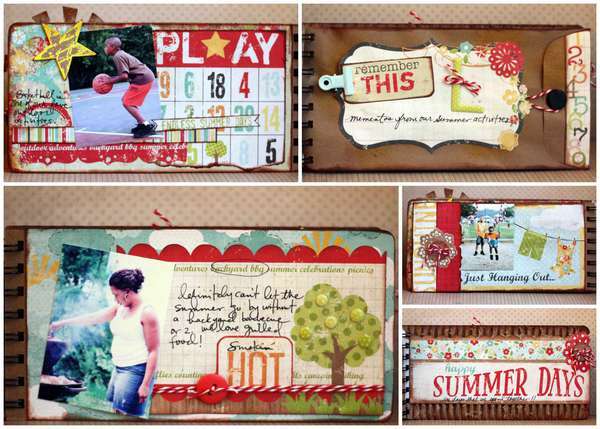 This collections comes with papers that a just right for boys and girls! How cute is that pennant banner? 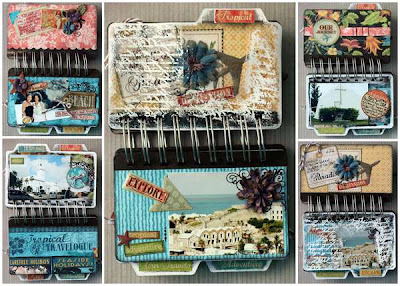 Christine Adolph's Oceanside collection is simply gorgeous! The variegated blues and browns will add a soft vintage flair to your beach themed projects.The delicate butterflies and dragonflies add to the versatility of this line. 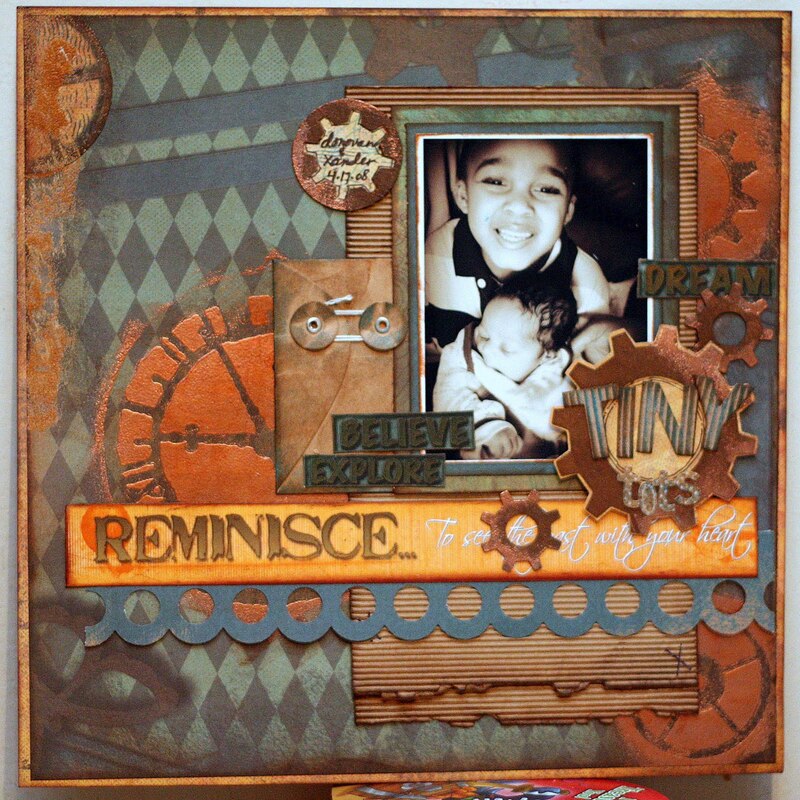 This LO features Studio Basics 101 Family Matters. 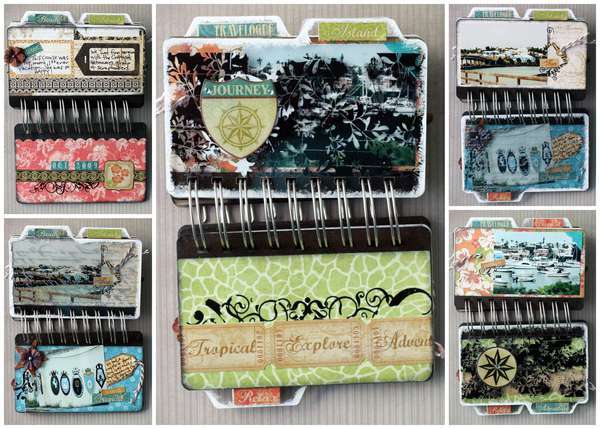 This collection is just perfect for preserving memories about your family! The soft muted colors make scrapbooking for every member of your family easy. Our Studio Basics Family Matters collections is just perfect for those projects! The soft muted colors make scrapbooking for every member of your family easy.Our Studio Basics Family Matters collections is just perfect for those projects! 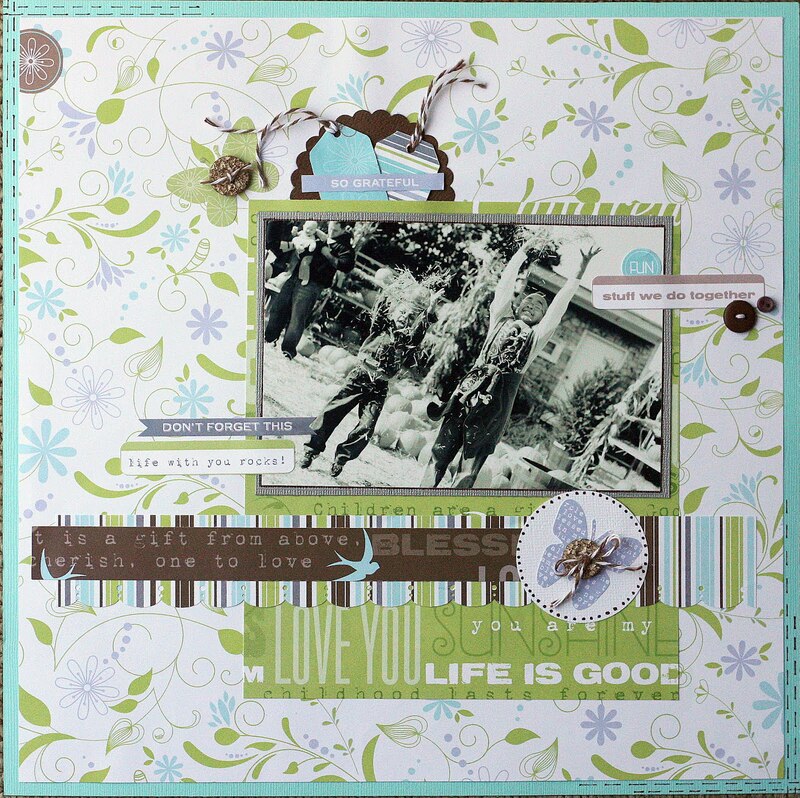 The soft muted colors make scrapbooking for every member of your family easy.Our Studio Basics Family Matters collections is just perfect for those projects! 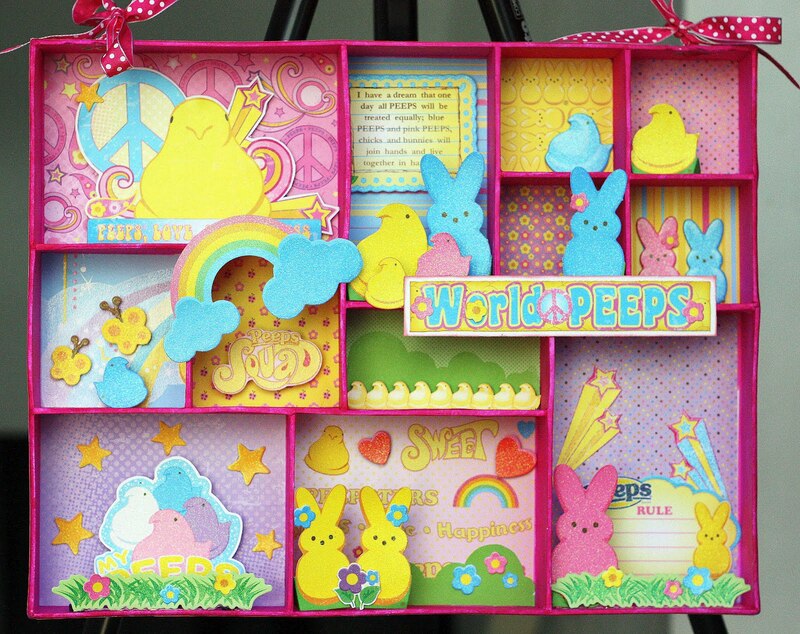 The soft muted colors make scrapbooking for every member of your family easy. Last but not least is an altered project featuring the Peeps collection. I painted the entire project with apple blossom Luminarte that matched the papers. I had a ball with this...can you tell?